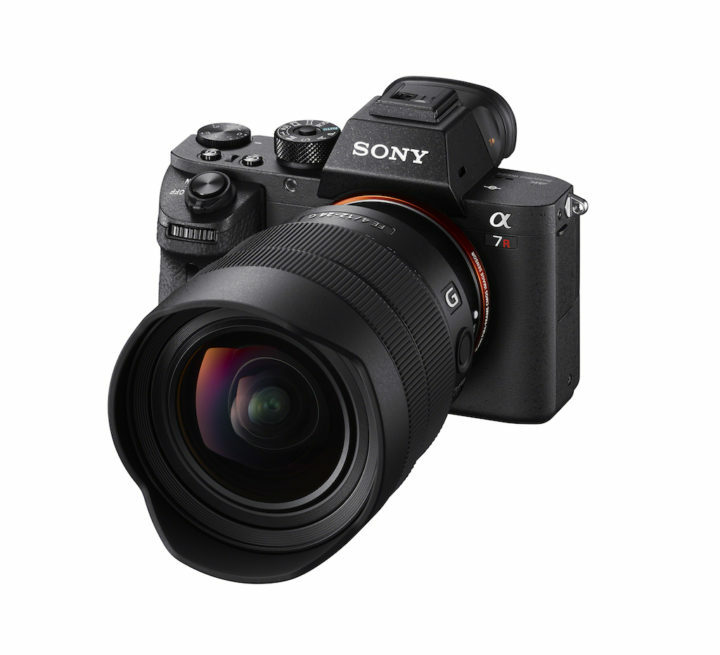 Along with the 16-35mm f2.8 (info here), today Sony announced the 12-24mm f4 which becomes the widest zoom lens available with the native E-mount. If you want something even wider, you have to look at the Voigtländer 10mm f/5.6 manual focus prime lens! For a change, Sony released a full frame lens that is actually smaller than the competition: it is half the weight of the Sigma Art for example (565g vs 1150g) and smaller too. The lens is dust and moisture resistant and features an AF/MF switch and a focus hold button. Note that the lens doesn’t include a filter thread so you will need third party adapters to use filters. 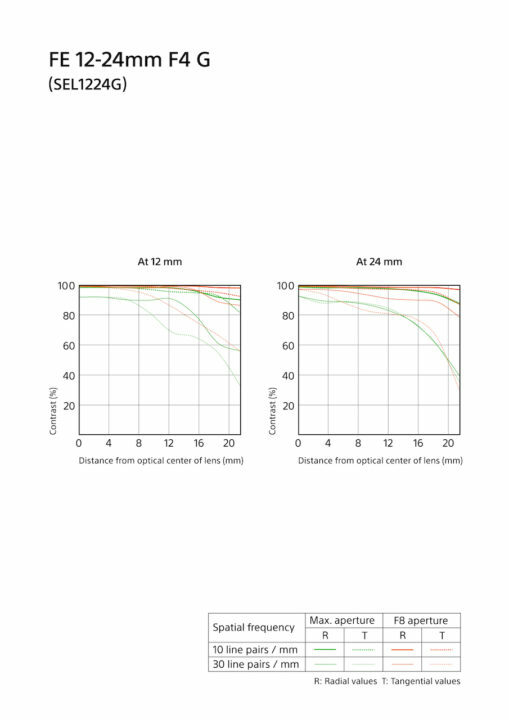 The 12-24mm f4 features 17 elements in 13 groups with four aspherical elements that promise excellent corner to corner sharpness and resolution. 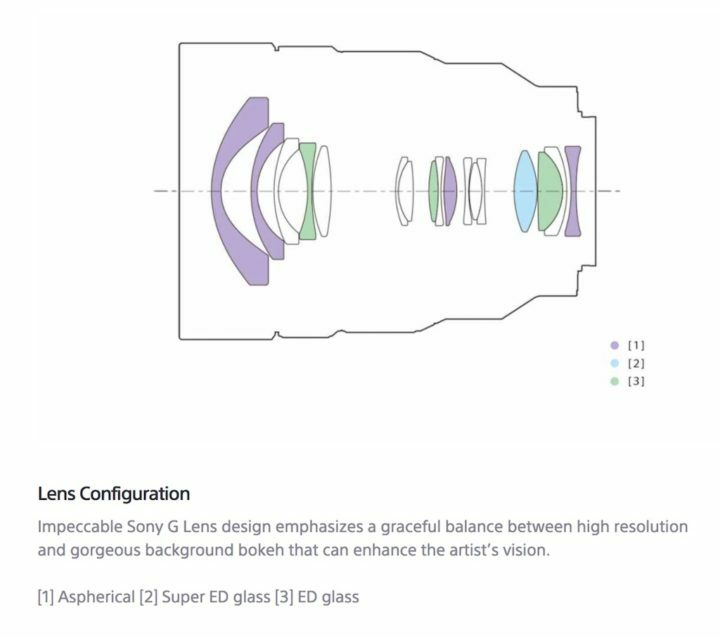 There are also three ED glass elements and one Super ED glass element to reduce chromatic aberration and Nano AR coating to minimise flare. The aperture is composed of 7 circular blades. The internal mechanism includes a DDSSM (Direct Drive SSM) for fast and quiet autofocus performance. The minimum focus distance is 28cm. 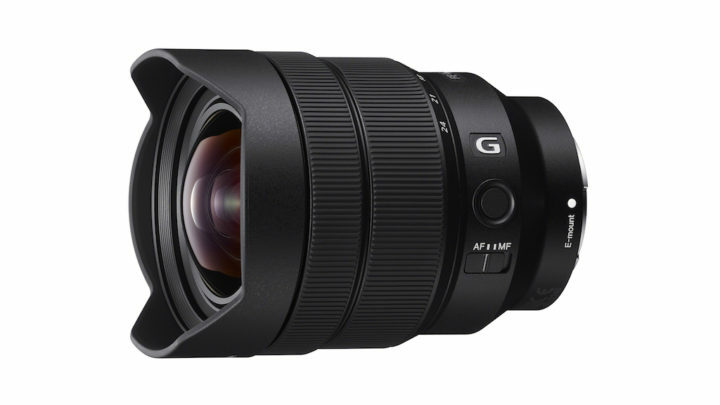 The FE 12-24mm will be available in July at the retail price of $1700 / £1700. You can check the first reviews at Cameralabs and Max Yuryev’s Youtube channel.